I took my inspiration from the recipe found here on All Recipes. I only made two burgers, so I used far less ingredients than if you’re making burgers for a crowd. Below are the ingredients to make 6 burgers. 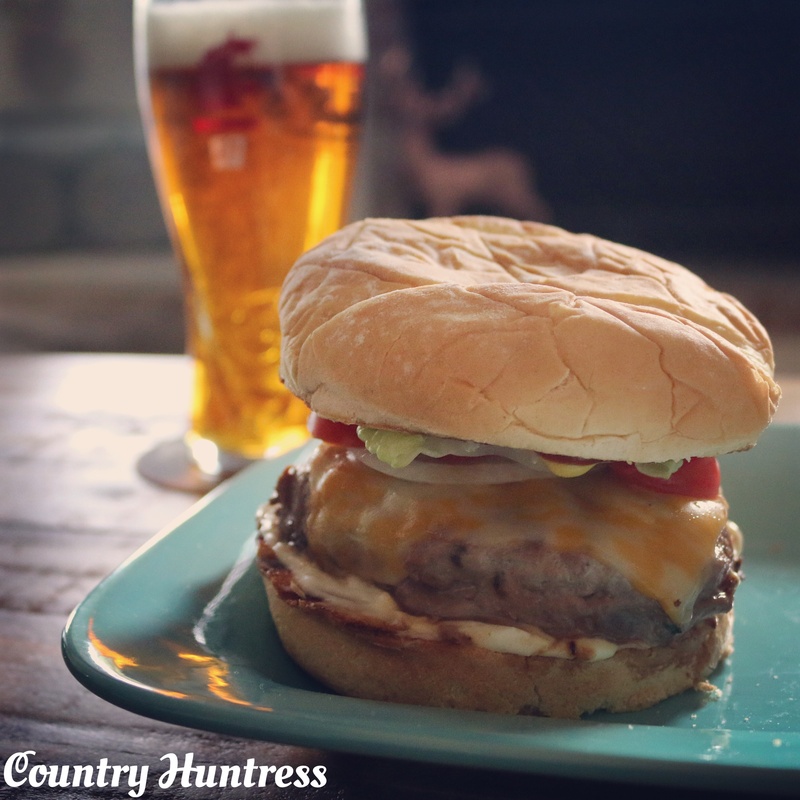 – Your favorite burger toppings! 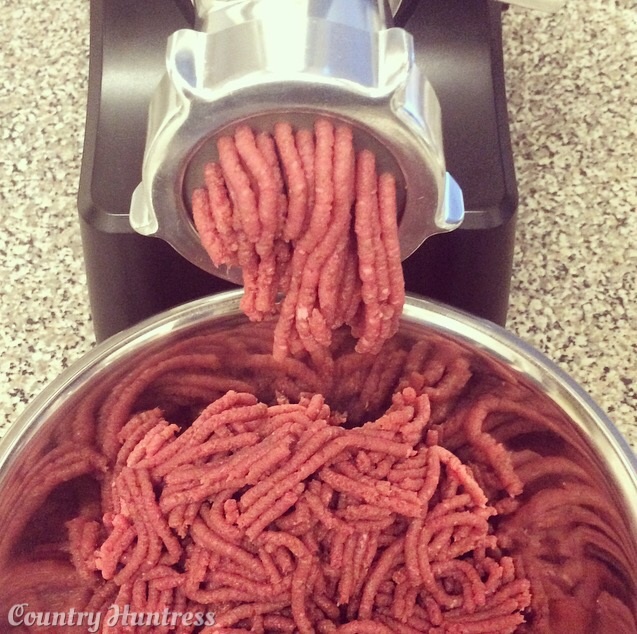 If you’re like me and processed your own deer, start by grinding the amount of venison you’ll need. Otherwise, thaw ground venison you have in your freezer! Rough chop the slices of bacon. Did you know that you can buy bacon at the meat counter in most stores? It’s often a better, thicker cut and cheaper price than what you’ll find in the aisles. 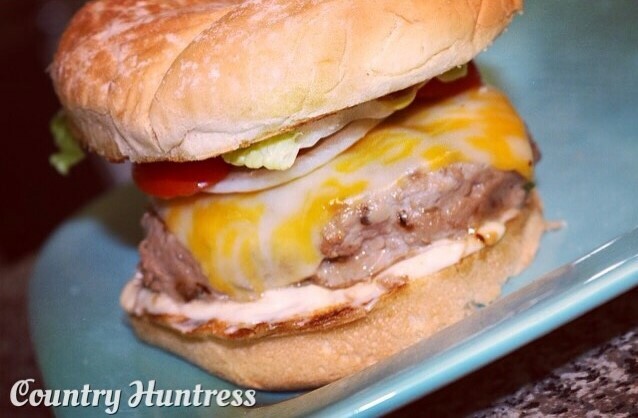 I got half a pound for $3.00 and it was more than I needed for this recipe. Cook the bacon to your liking. 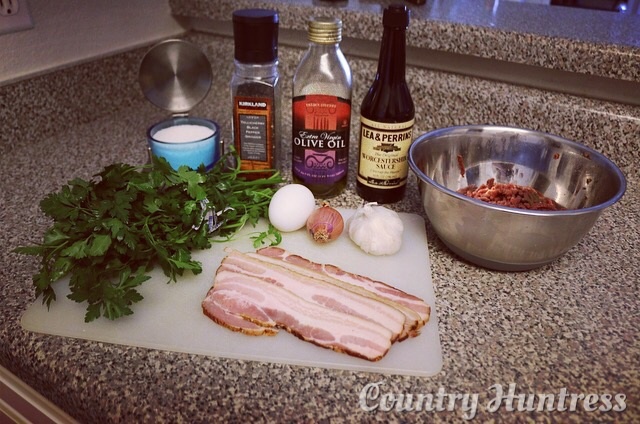 You know a recipe that starts with bacon can’t be bad! While your bacon is cooking, finely chop the shallots and garlic. Once your bacon is cooked, put it on a plate and let cool. So this next step you can choose to be healthy or not so healthy. 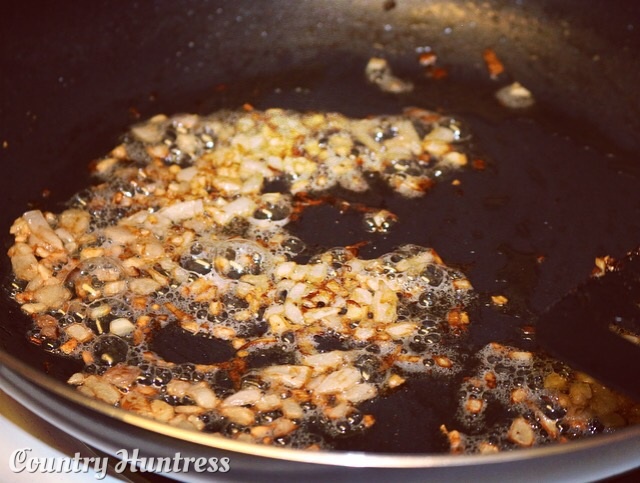 If you want, sauté the shallots and garlic in olive oil for a few minutes until they’re soft. Or, you can make the delicious, unhealthy choice. 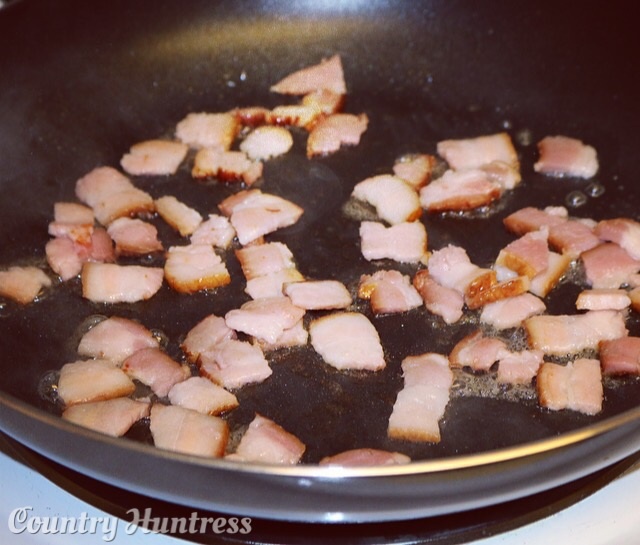 That pan you just took the bacon out of likely has some bacon grease still in it. Throw the shallots and garlic in there for that extra bacon kick. Now it’s not healthy in the slightest. But some of my best family recipes involve sautéing vegetables in bacon grease and they always turn out amazing. So the choice is yours, healthy or bacon. I chose bacon. Once the shallots and garlic are soft, add them to the bacon and let everything cool. Finely chop the parsley and beat the eggs. 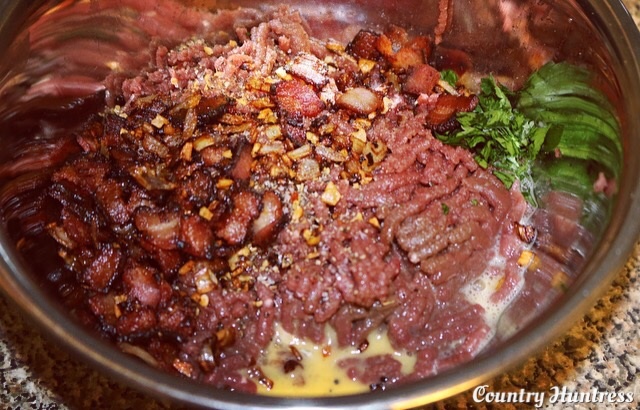 Once everything is cool, mix it with the venison, eggs, Worcestershire sauce, parsley, salt, pepper, and burger seasoning. Don’t be afraid to get messy, mix everything together with your hands. The mixture might feel a little wet after adding the egg but I think this is what helps keep these burgers juicy when cooking, so don’t worry if you notice that! Cover with plastic wrap and put in the fridge for twenty minutes. Once the twenty minutes are up, preheat your grill to medium-high heat. 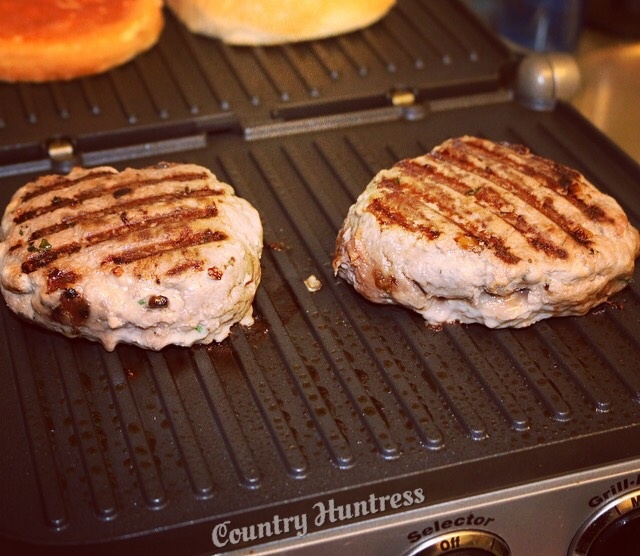 Form the meat into the number of patties you want and grill away! Don’t forget to add your favorite cheese, I love Colby Jack but any cheese will do. Toast the buns and then add your favorite toppings! As you can see, I love a nice layer of mayo with my burger. Blame working at a diner in college, can’t eat them any other way! Pour yourself a beer and enjoy! 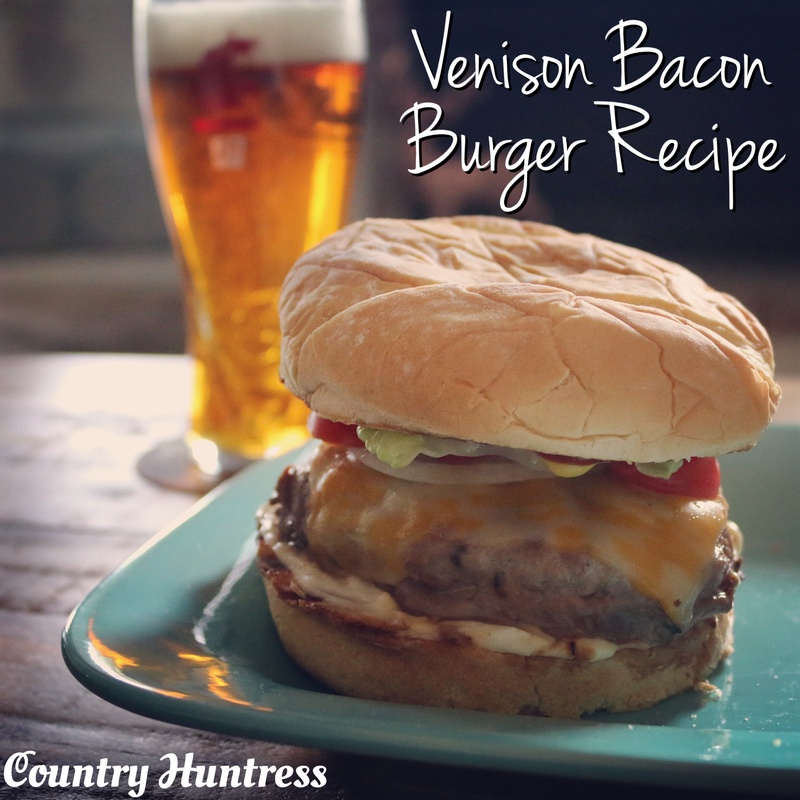 And if this recipe doesn’t have enough bacon for you yet, feel free to add a couple slices to the top of the burger! You can never have too much bacon, right? 06. Toast bun, add cheese and favorite toppings, enjoy! Let me know if you try the recipe! I’d love to hear how it turns out. 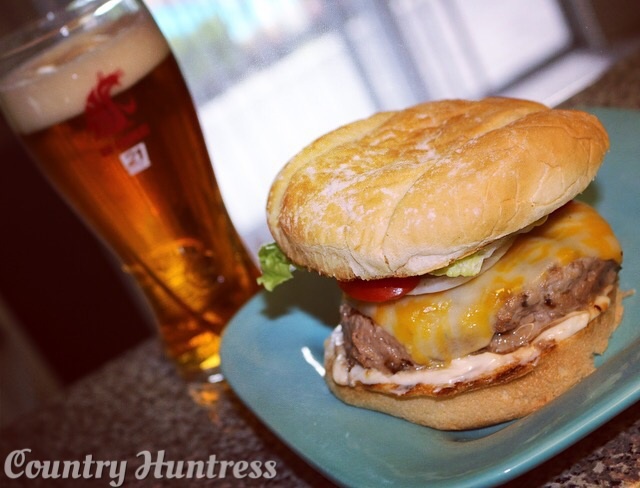 What are your favorite burger toppings? Share in the comments below! These look amazing! These are what I’ve been obsessing over lately too! 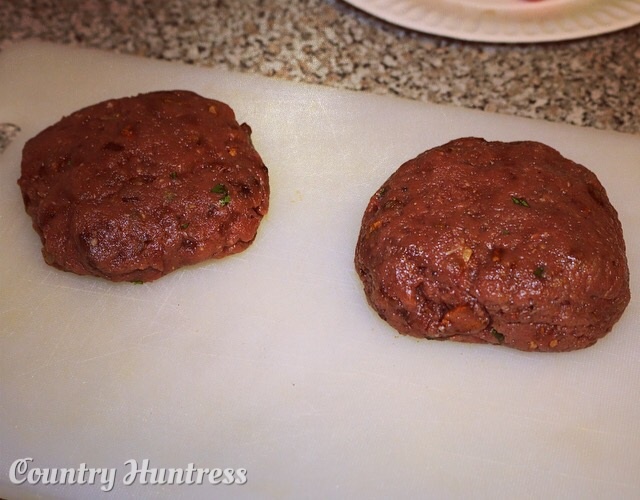 We’ve even done a couple of cheese stuffed patties with our bacon venison patties! Delicious!! Thank you! They were amazing, I keep thinking about making them again cause they were that good! 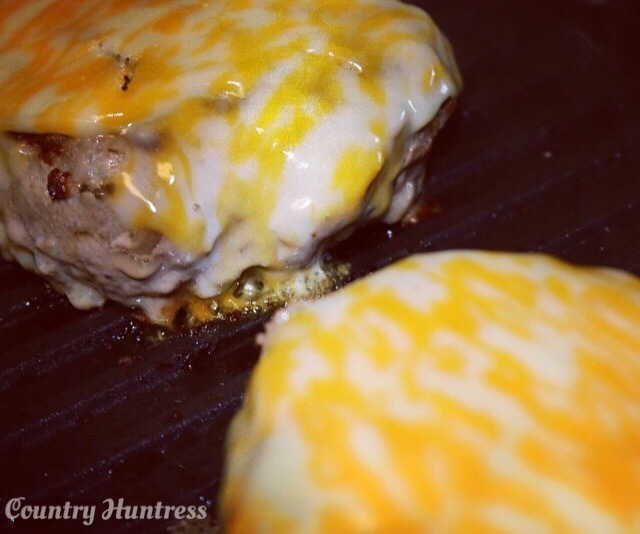 Stuffing the patties with cheese sounds delicious! I think I’ll have to try that next time! Yes! Give it a try! !